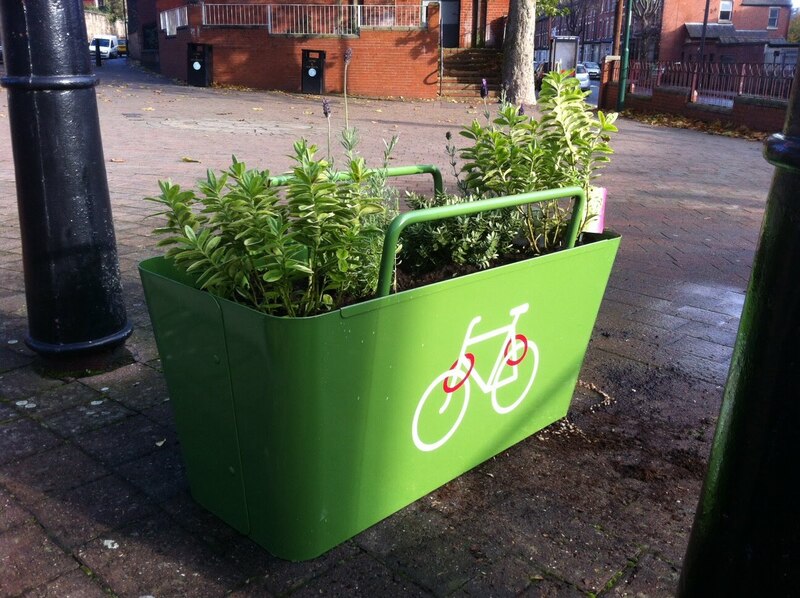 Hermitage Square now has two beautiful new green planters specially designed to provide an easy spot to lock your bike. 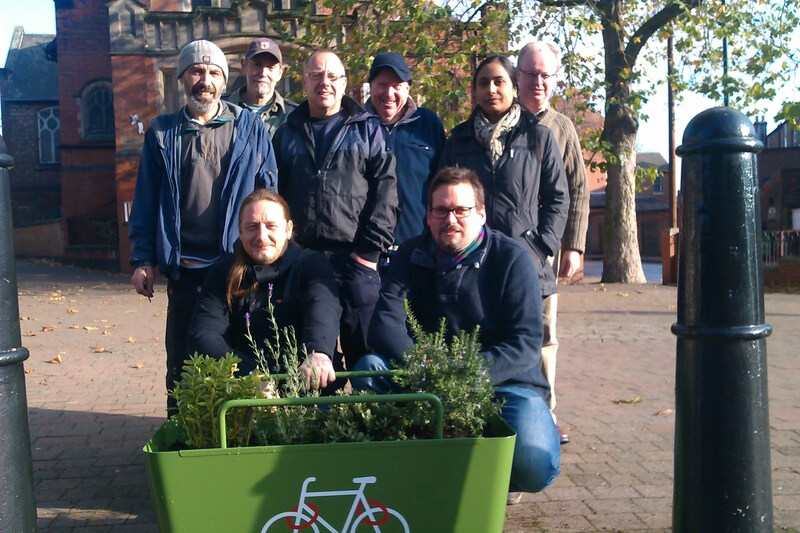 The square, which hosts the monthly 'Cycle Sneinton' events, has been provided with the "plant locks" after TRACS Neighbourhood Centre was awarded them by Smarter Travel Nottingham as part of their campaign to make cycling easier and more accessible. Local food growing group, Growin' Spaces installed the planters and planted them up with hardy shrubs which should fill out to provide a year round dash of green. Want a bike lock for your centre? Contact Smarter Travel Nottingham to see if they can help, or come to the next Cycle Sneinton event on 6th December, 12-2pm on Hermitage Square.